Come visit us at our new location at 4775 South Harvard! Shifu Thomas has competed in national and international martial arts tournaments and has won numerous championships and awards, as have many of his students. At Thomas Academy of Tai Chi Kung Fu, Shifu Thomas teaches a wide variety of Chinese Martial Arts styles to students of any age and skill level. Shifu (also pronounced "Sifu") means teacher. You may also see it translated as "Master." At one time, the head teacher in a school was called "The Headmaster." The relationship of a student to his Shifu is that of a student to a teacher, or perhaps an apprentice to one who has mastered a discipline. A Shifu is someone who has spent a lot of time and effort to become the proficient at one or more styles of Chinese martial arts. For more information about ther term "Shifu/Sifu", please see this Wikipedia article. Thomas Academy of Tai Chi | Kung Fu is dedicated to educating and informing the public about the nature and benefits of Chinese Martial Arts. We are dedicated to teaching only the highest quality traditional styles of Tai Chi Chuan, Baguazhang, Xing Yi Quan, Push Hands, Northern and Southern styles of Shaolin Kung Fu, traditional Chinese weapons, and self-defense to all ages and fitness levels. In addition to our regular classes, we offer specialty workshops, which are focused, in-depth training sessions that include Meditative Qigong, Tai Chi, Weapons, and Push Hands. It is important to note that we are the only school in America that offers instruction in authentic Xingtai, China, Chen Gu An Wu Hao Tai Chi Staff. Please feel free to browse around or click to contact us. We're glad you're here! Click here to view our current schedule! Shifu Thomas is honored to have been selected as the 7th generation disciple of Grand Master Chen Shu Dao, a 6th generation Wu Hao Tai Chi practitioner and the son of Great Grand Master Chen Gu An, the only Wu Hao grandmaster officially recognized by the Chinese government. Shifu Thomas is also the 6th generation, "First Foreigner" Disciple under the renowned 5th generation Yang Style Grandmaster Meng Xian Min. 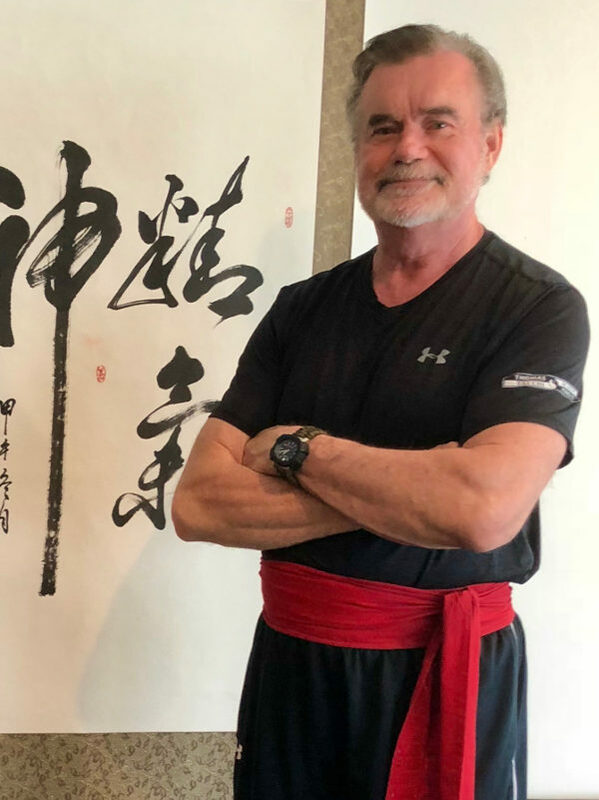 Each Grandmaster has provided Shifu Thomas with a wealth of his respective style's history, philosophy, martial arts applications, and empty hand and weapons forms. Why should you choose Private Classes? You decide the level and pace for training. Classes are arranged to meet your schedule. Option of deciding what program to train in. Individualized programs to meet your specific needs. Private Class Discount Packages Available! 6 Private Classes for $550, That's like getting 1 lesson free! Or, get 12 Private Classes for $1100! That's like getting 2 free lessons! If you prefer a private lesson at your location, a travel fee will be calculated. Seminars and Workshops for your Organization or Community! 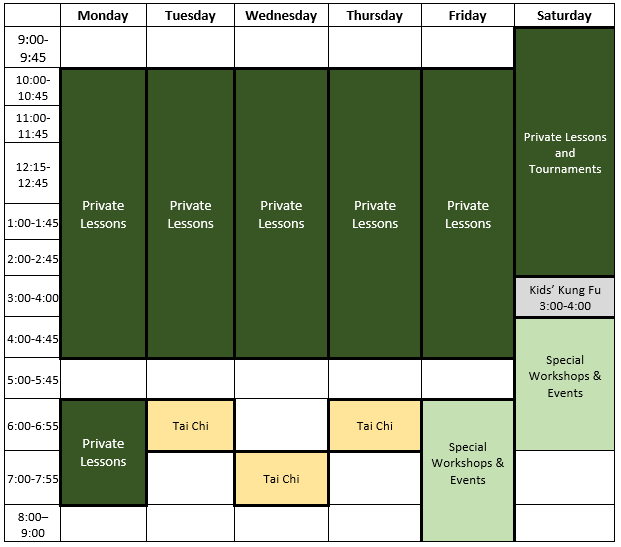 Thomas Academy will bring Tai Chi to your community, church, business, or other organization! 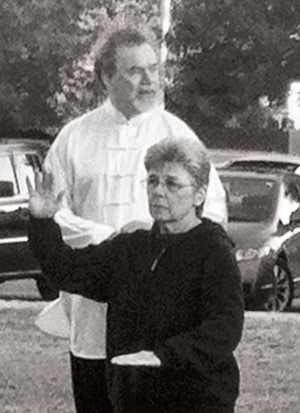 We will come to you and teach an 8 week Tai Chi course within a 30 mile radius of Tulsa. Travel fees may be required for distances further than 30 miles. Please click here to contact Shifu Thomas. Special group packages are also available, and are ideal for Employee Wellness Benefit Programs! For more information contact Shifu Rick Thomas at taichi@thomasacademy.com. 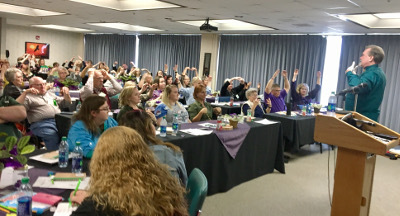 Shifu Thomas demonstrated Tai Chi Chuan to a packed house, at the Eastar Health System's "The Brain & Alzheimer's" Seminar, for caregivers and professionals. Shifu Thomas' presentation, "Introduction to Tai Chi, and the Importance of Striving to Live Life Fully," was a hit with attendees, who learned how to revitalize themselves, and their loved ones, through the relaxing art of Tai Chi Chuan. The Chinese government recognizes the late Grandmaster Chen Gu An, and his son, Grandmaster Chen Shu Dao, as designated representatives of Wu Hao Tai Chi Chuan. Shifu Thomas is a seventh generation closed door disciple in Wu Hao, under Grandmaster Chen Shu Dao, of Xingtai, Hebei, China. Our Xing Yi and Bagua also come from Grandmaster Chen Shu Dao. Shifu Thomas is also the sixth generation, "First Foreigner" Disciple under the renowned fifth generation Yang Style Grandmaster Meng Xian Min, of Hangzhou, Zhejiang, China. During his August 2004 China trip, Shifu Thomas was appointed the Director of the American branch of the China Xing Tai Wushu Tai Chi Research Association. Shifu Thomas makes regular, return trips to China to study with his teachers, striving to perfect the arts, as well as adding new, more advanced material. Kung Fu is a form of Chinese Martial Arts using movements that can be fast, fluid, and powerful. 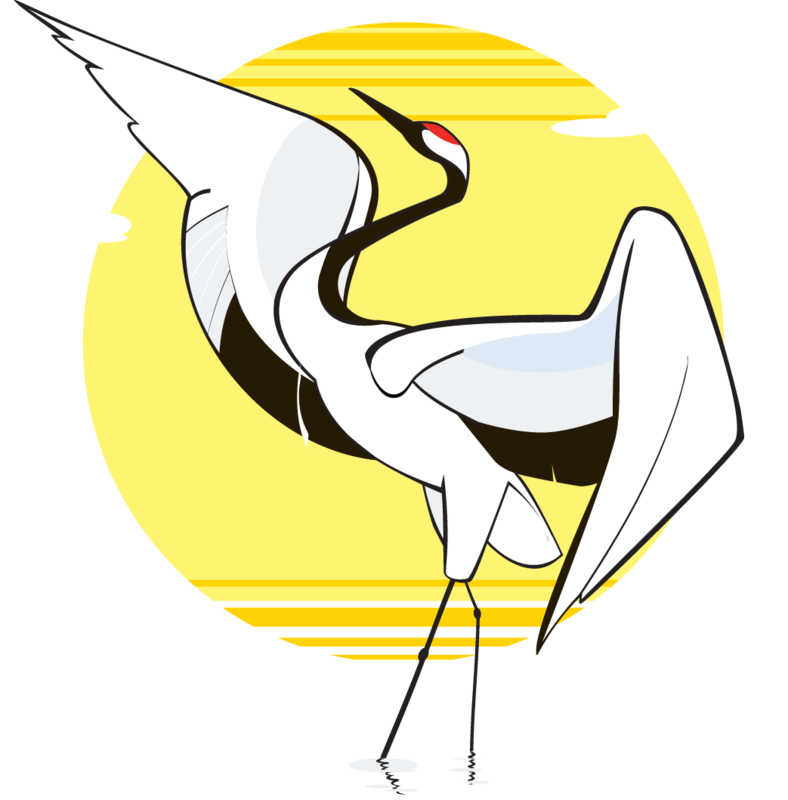 Patterned from nature, the art of Kung Fu reflects nature's speed and force, combined with grace and harmony. Thomas Academy offers material from both the Northern and Southern styles of Kung Fu. Some of our Kung Fu weapons practice includes staff, broad sword, straight sword, spear, fan, nunchaku, and much more. This ancient martial art is fun, healthful, and practical in its use for self defense. Kung Fu can be described as "Power Disguised in Elegance," and can be enjoyed by all ages and fitness levels. Come join the fun! Thomas Academy offers daytime, evening, and weekend group classes to accommodate everyone's schedule. Private lessons and personal training with Shifu Thomas are also available for those wanting one-on-one instruction. No signup fees for unlimited class fee packages! One time sign up fee of $45 (except unlimited classes). No contracts! 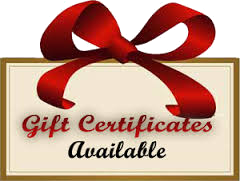 Gift packages available. Ask us about family discounts for Kids Kung Fu! No class on major holidays. Workshops, Sparring, and Tournament fees not included. No refunds on membership, tuition, class fee or package purchases. We're on the east side of Harvard, near New York Pizza! © 2002-, Thomas Academy Tai Chi | Kung Fu, All Rights Reserved.